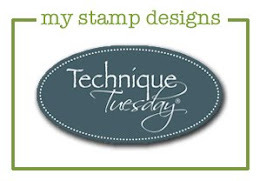 elvie studio: inspiration monday.....and a giveaway!! Would LOVE to win a spot in this class, definitely something I would like to learn! Thanks for the chance! What a great looking journal and I love the saying. How's the weather? We are bracing for more rain and there is a wind warning up here. The class looks great, thank you very much for the chance to win a place in the class. Thank you Lori for this great opportunity. 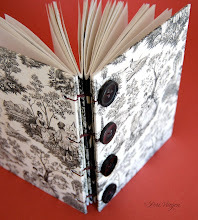 I'm really becoming interested in creating books/journals and this one is simply beautiful. Thanks for always giving me a reason to look forward to Mondays! This would be amazing to win! I love your style! 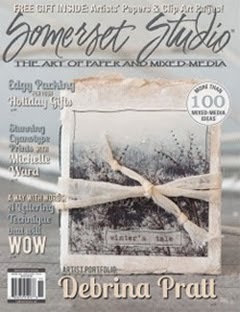 I would LOVE to win this journal, what a great giveaway, thank you SO much for the chance tow in!!! I am in the way of this hurricane so if I win and don't reply for awhile that means our power is out. 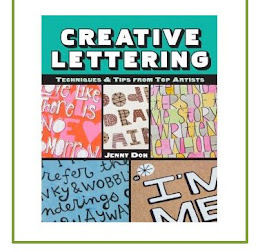 sadly, the class is just not in the cards right now but i would be thrilled to get this happy little book in my mail! I would love to win a journal like this, created with lots of love and care. 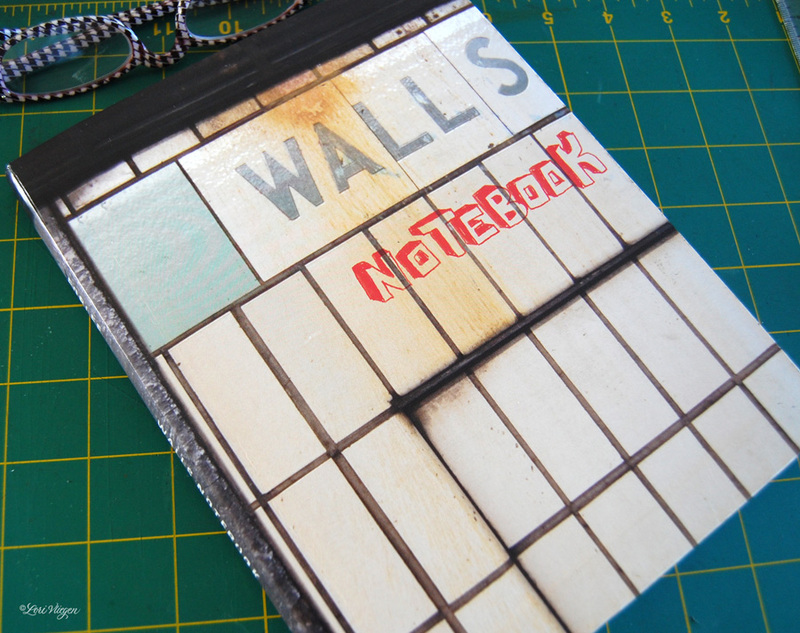 I've enjoyed seeing the entries in your walls notebook. Thanks for the chance to win your lovely journal. 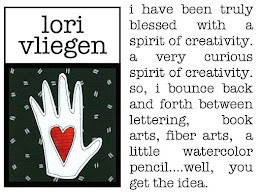 I would love to win your journal, Lori! Thank you for always thinking of us out here in blogland! Thank you for this chance to win your beautiful watercolor journal. It's one thing to be able to make our own, but it's so much better to have your art work on the covers. I would love to win your little art journal. I signed up for your class, the first day it was open for registration. I'm waiting to for my welcome e-mail, so I can get started with the class! Lori, thank you for the opportunity to win one of your beautiful journals. 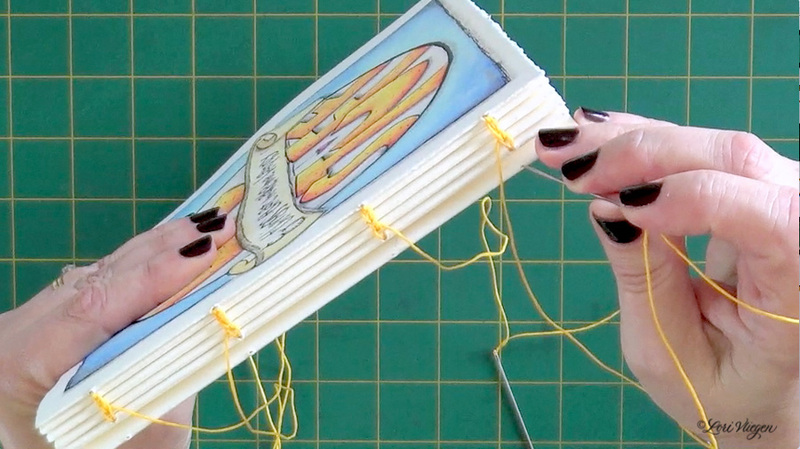 I have long wanted to learn how to make a Coptic bound journal. I think I must take your class! i haven't been inspired in a long time. maybe this would help. it's lovely. What a great beautiful journal you made. Your class sounds great too! Thanks for giving us a chance to win. Love your inspirational work!!! Would love to win!!!! I love anything you make! I would absolutely love to win this journal. Your creativity and lettering are so inspiring! I'm such a fan. I'd love to have one of your journals! Lori!! It has been so long!! Looks like you are staying creatively busy....awesome! Your little journal is just beautiful. Those pages are just begging to be filled with color! Love love love..usual! You are such an inspiration..I even have a folder in Pinterest of "Elvie Love"! it would be wonderful to win a journal made by you. I am a fan of your blog and a great admirer of your art. thanks for making an inspiring and bright spot in my days! I love, love, love your journals and would love to own this one!!! I'll cross my fingers - thanks for the opportunity, Lori!!! 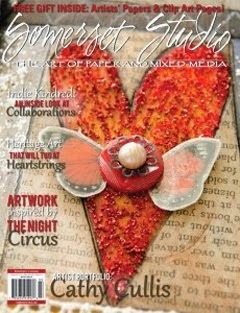 Would so love to win this journal!! Thank you so much for a chance to do so. 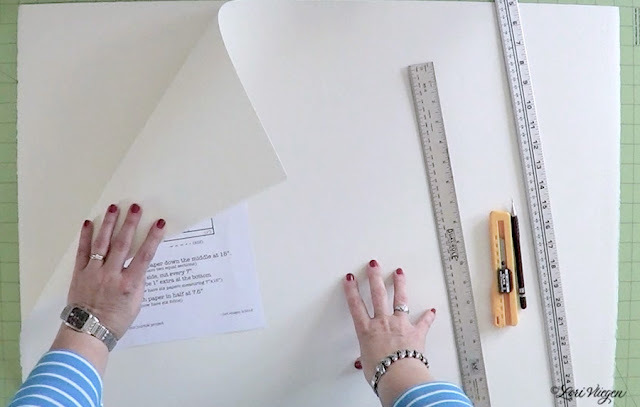 I love coming over to your blog and looking and finding inspiration. What a treasure this would be to win! I'm enrolled in your class, so I'll be making my own journal, but I would LOVE to win yours! Hello, my friend. So glad you're still offering your lovely work and workshops. They are great. I've given away all the treasures I've bought from you (except the ME journal). Everyone loves them all. Happy creating, and have fun. Thanks for the chance to win a cute journal! 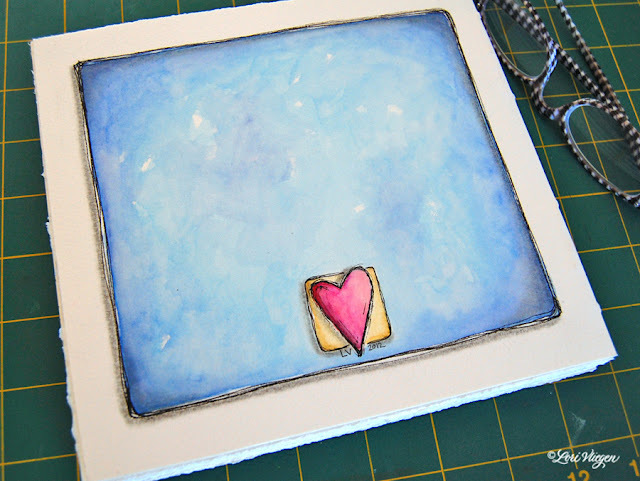 I just adore your booklet, would LOVE to sea it in real life! Love the journal! Love your style! Need to put your class on my list to take! It just keeps getting longer and longer! I would love to win this journal. I love it. I am going to take the class after the holidays (or hopefully sooner if my schedule allows for it.) Thanks! Who could say no to one of your journals?! I love your artwork, so inspiring! Would also love to win, thank you for offering this! I love your journals, Lori! I would love to fill one of my very own :) Good luck with the class...sounds so fun. I LOVE it! 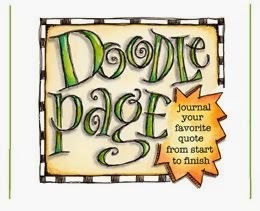 How fun it would be to fill the pages with oodles and oodles of doodles and more! Thanks for the give away. Oh a work of art indeed! I just watched first two lessons, I already love this! It would be nice to win your journal. I can't wait for things to calm down here so I can take your class! How fantastic is that journal? VERY!!! is the answer hahaha Wishing you well with the classes. Thanks for the chance to win. I'm an old follower. 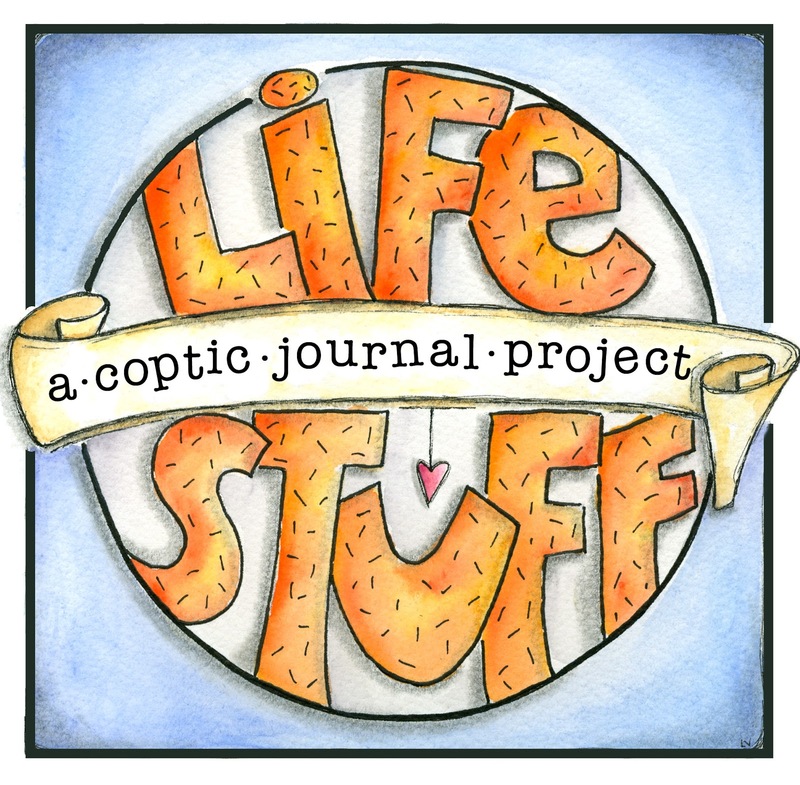 I've heard super amazing things about coptic journals and would love the chance to work in one. Thanks! 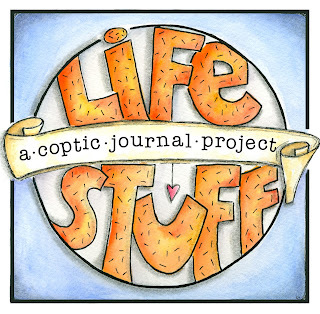 I love reading your blog, I love all of your artwork and I LOVE this journal! Thanks for your generosity. Es un proyecto fantástico. Gracias por esta oportunidad. Besos. How generous of you to give away one of your special journals. I'm participating in your Coptic journal-making class and am thrilled to learn some advanced stitching. I can't stand it! I love your coloring and design details! Thanks for the chance to win one of you fabulous journals! Thanks for sharing! What a neat thing to find waiting and wondering whether I'll have power during Hurricane Sandy! Brightens my day for sure! adorable! Thanks for always being such a great inspiration! Tienes un estilo tan elegante que me fascina. Have a style so elegant that totally fascinates me! I still love to visit you on your blog! It would be great to win the journal. I just signed up for the class and can't wait to make my own journals!! This one is adorable and I would love to win it! Thanks for sharing!! Hope I'm the winner of this awesome journal. I can't wait to fill it! How I'd love to win your watercolor journal. I love the covers! Thank you for the opportunity to win such a cool book. I am just getting started with watercolor pencils and would love to have a beautiful place to put my art work. Thank you for helping to light the fire of creativity in me! I would love to win this beautiful journal. Just looking at it would be so inspiring! oh wow I love your journals. Ooohhhh what yummy goodness! I love following your blog and seeing your creative thoughts put on paper. Thank you for this wonderful opportunity! I need to save some more pennies and I'm all in on the class! This will be a fabo class!!!! love it! 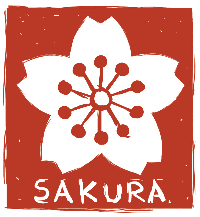 I want to take your class at some point, but the journal would be wonderful to have in the meantime! Thanks for the opportunity to win this lovely journal! Love it!!! Thanks for the opportunity to win :) love visiting your blog! What a lovely journal. It would be fun to play in. Congratulations with the opening of your new class and thank you for the chance to win one of your beauties! I've signed up for your class because I love your journals and hope to be able to make one that's somewhat similar to yours. Thanks for the opportunity to win a journal and also to take the class! I'm so looking forward to it. Wow, would love to win this. It's beautiful! I would LOVE to win the journal. I need to keep all my ideas & watercolor sketches in 1 place. 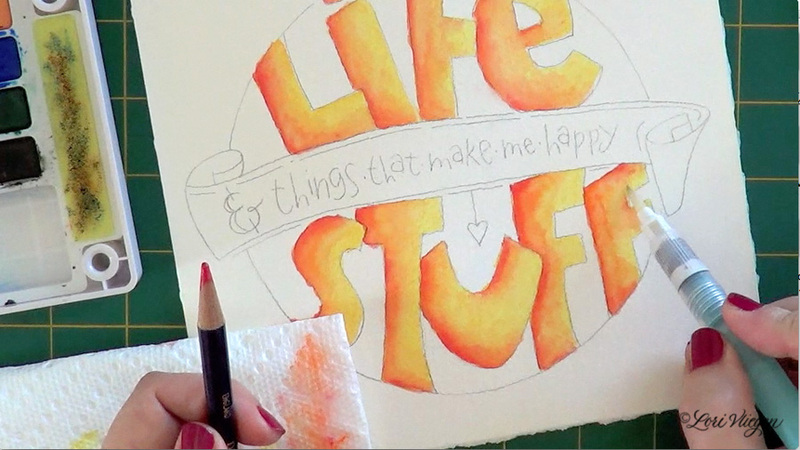 My little watercolors are ALL over the place here. I also love your style of painting. I have a LONG way to go yet. I would love to have your journal to call my own. I love the cover work that you did and I would seriously enjoy filling it up with my own goodness. Thanks for the opportunity!!! This journal is lovely. You make it look so easy to put together. Hiya Lori! I have been traveling and so haven't been able to register yet but I'm so excited to get started with this class! Thank you for all the inspiration you provide! Thanks for this opportunity! 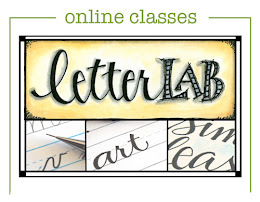 have done your letterlab class and loved it and your style!! Thanks for sharing! 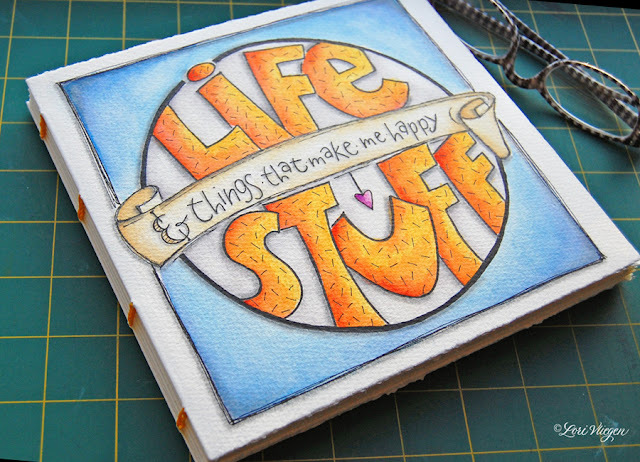 I would love to win this journal, thanks for sharing your beautiful artwork! 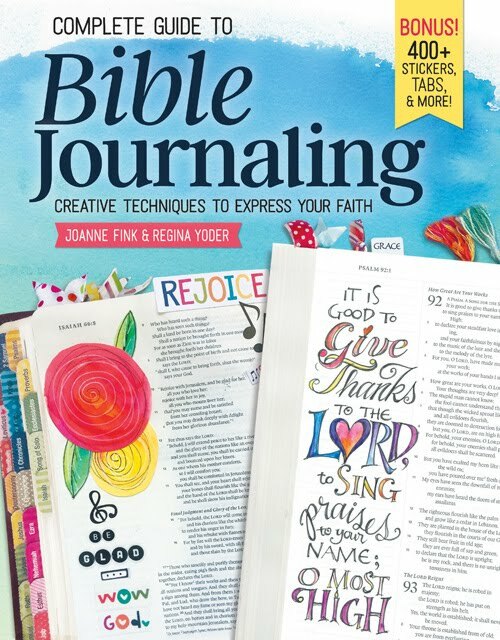 This looks like a great class and the journal looks so cute! Hi! 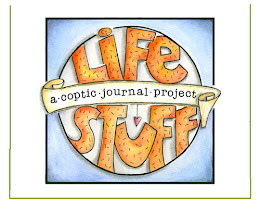 I just started journaling and found your blogspot while googling for inspirational pages. I went through your blogs for hours and was amazed at the style of your artwork. I was then hooked on needing to start my own journal. You helped me learn on what type of tools I would need to get started. Thank you so much!!! 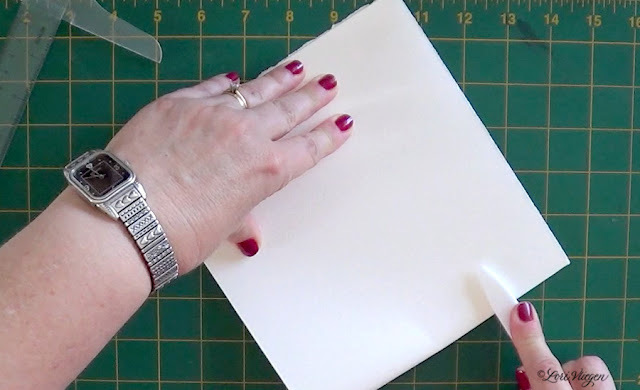 I'm not very good at binding books, I sure need to learn ! what a lovely journal; i take my chance to win this, Lori. 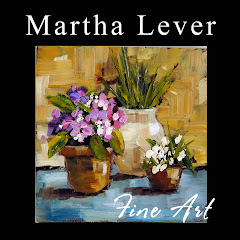 I adore your blog and look forward to it every Monday...Have taken a couple of your classes and I really enjoyed them!! Thank you for the opportunity to win one of your beautiful journals. Wow Lori. 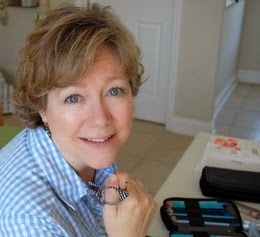 I love your blog and your work and the inspiration you provide. It would be such an honour to have one of your beautiful journals to work in (although I'd be so nervous...the cover is stunning and I'd want my work to be up to your incredible standards!). Thanks for the opportunity! 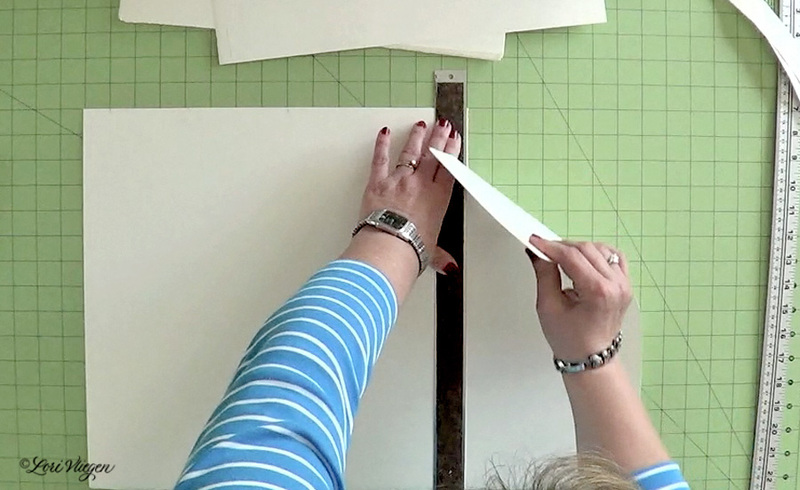 I love your work and all the inspiration I find on your blog. 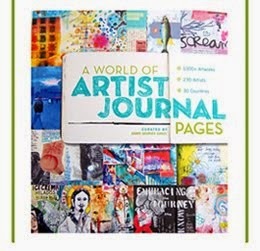 I would love to win this journal! Thanks for the chance. 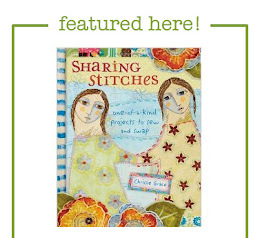 I love this little book and would so enjoy a copy of my own! Thank you for the opportunity to win - namaste! I love all your classes and I'm sure this one will be a blast! Thank for you the chance to win! Ooooh!! what a fab giveaway. I would just love to win this journal. You know that I love all your creativity and to own some of it would be mega! What a beautiful journal to fill with happy thoughts - THANKS for the giveaway!! Excellent giveaway! Watercolours was the very first medium I started used (about 10 yrs old in an Art class). Loved it ever since! Great post! Your journal is beautiful! I am such a fan. I'd love to win a spot in your class! I have enjoyed learning about lettering from your other class. Oh this is SO cute!! I love it! How fun to take a class like this! My email: williammaurice44@comcast.net Yay! your work is a great inspiration indeed! Great inspiration!Beautifuk work and thank's for the opurtunity. Hi Lori, thank you for the chance to win this beautiful journal. I just love your style and always look forward to seeing each and every post,to see what you're doing next. Love your work. How super. Thanks for the chance. Would love to win your beautiful journal. I am also going to check out the class. I would love to win the gorgeous journal as there is no way I could ever do that for myself! Wow, that's a great price!! Thanks for the opportunity! Please do count me in for your giveaway -- love, love, love your work! I would love to win that journal. I just started watching the videos. In the class. Ooohhhh!!! This is a lovely little journal! I would LOVE to win it! 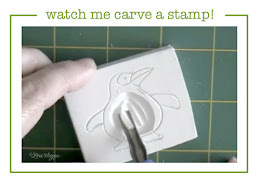 I really enjoy your blog and seeing the things you create! That's a great looking journal. Throw my name into the hat for sure.